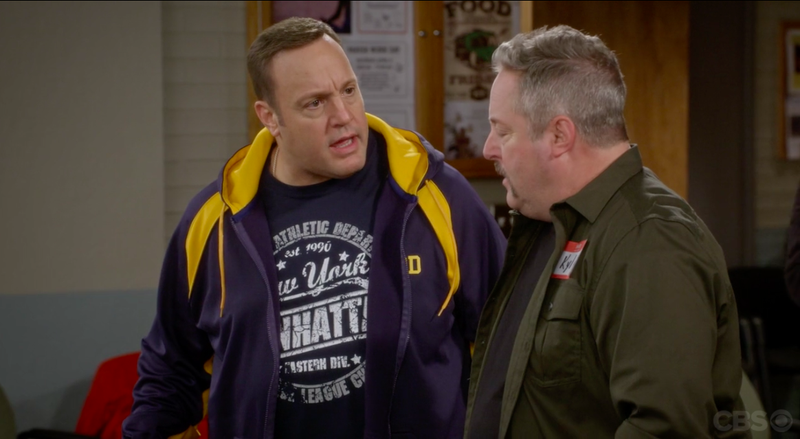 Let’s quickly recap the saga of Kevin Can Wait’s first wife, played by Erinn Hayes, who was senselessly killed off in between seasons so she could be replaced with Kevin James’ old King Of Queens costar Leah Remini. It’s difficult to call the public response as outrage, more a sort of delighted puzzlement at the tactless way her death was mentioned as a brief aside in the first episode of the season. Later, outraged first-wifers goaded Leah Remini into furious declarations of innocence on Twitter, because it is a platform that has the ability to transform even sitcom casting changes into flame wars. There is a troll for everything. The dead-wife related laughs just keep coming as the show climaxes with the whole gang hanging out at the support group flirting with newly available grieving spouses. The juxtaposition between hokey canned sitcom laughs and the unfathomable sorrow of grieving a dead spouse is actually sort of subversive, leading you to imagine how far they’ll take this thing. The actual cause of death for the wife remains undisclosed by the show, but at this rate they’ll find something really funny to pin it on, like an automobile accident.